Traditionally, many of us celebrate Valentine’s Day as being the culmination of the season of love. Did you know that it's also the ideal time to delight in the season of the pomegranate? Trending in health and wellness nutritional benefits, pomegranate seeds are high in fiber, provide Vitamin C, Vitamin K and Folate. Pomegranate juice serves as a valuable source for antioxidant benefits. 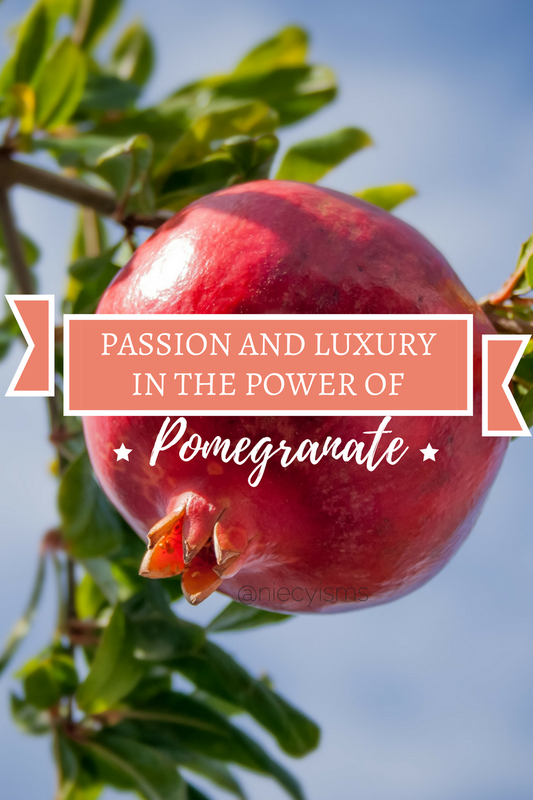 I've had the pleasure of experiencing firsthand the luxury and power of pomegranate. Thank you to Mangiacotti and their promotional team for the courtesy of providing product for editorial content purposes. "My company is very aware the products we make today will affect our planet and future generations. Because of this awareness, we’ve focused our energy and resources on “greening” the Mangiacotti Collection. It is of the utmost importance for us to meet the growing demand of products that use recyclable materials, vegetable-based inks and formulas that are kind to Mother Earth. They are made with essential oils and plant-derived ingredients and never tested on animals." Luxury beauty brand, Mangiacotti embraces the essence of pomegranates for it's wellness and aromatic powers. Bringing seasonal treasures, Pomegranate Whipped Body Wash and Whipped Body Lotion Gift Set include a fragrant blend of essential oils lightly scented with pomegranate, citrus, papaya, blackberry, iris,and jasmine in a hydrating whip. Showcasing a new Whipped Body Wash and Whipped Body Lotion collection, Mangiacotti's lightweight moisturizers are made in the USA, paraben-free, never tested on animals, and as a brand, #seethegood in incorporating the skills of citizens with disabilities. 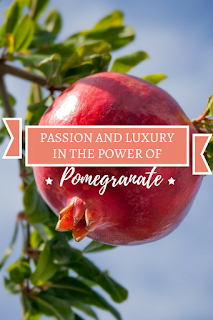 Experience the passion and luxury in the power of Mangiacotti's pomegranate products and other specialties for home, bath, and body.